As Windows 8 pushes its new interface to the market, manufacturers are making laptop/tablet convertibles. 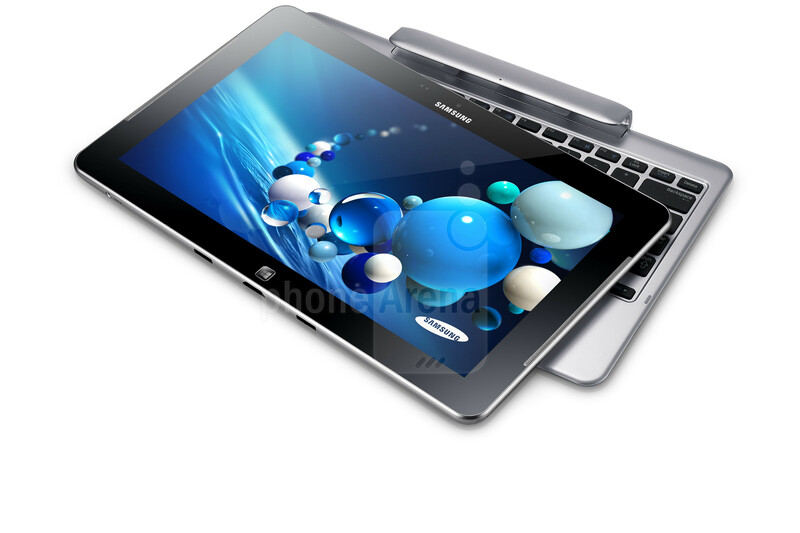 Recently, Samsung unveiled their Ativ Smart PC Pro at CES 2013. The Ativ Smart PC Pro is a convertible laptop with a detachable keyboard for tablet use. Running a full functioning Windows 8 (64 bit) operating system, the laptop convertible has a Intel® Core™ i5-3317U Processor, Intel® HD Graphics 4000, 11.6 inch HD screen, 128 GB SSD, and 9.5 hours of battery life (with a battery on the tablet screen and the keyboard stand). Perfect for those who want complete mobility and the power from a full functioning operating system.